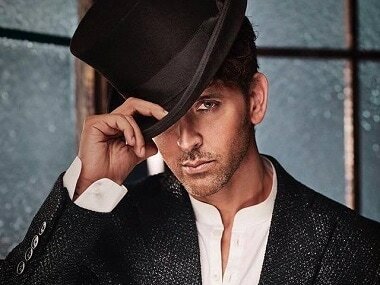 Super 30 coach Anand Kumar is torn between two production houses who want to cast two different actors — Hrithik Roshan and Akshay Kumar as the main lead. Kaun Banega Crorepati's episode that featured Super 30's Anand Kumar was aired on Sony Entertainment Television on 2 September. It is said to have received 6,798,000 impressions. Hrithik Roshan and Vikas Bahl have been meeting Super 30 founder Anand Kumar to prepare for their upcoming biopic based on the Patna-based mathematician. While Anand Kumar has confirmed that Hrithik Roshan will play the mathematician in his biopic Super 30, Katrina Kaif has denied reuniting with Roshan. Hrithik Roshan to play kabaddi player in Ronnie Screwvala's next film? After Aamir Khan playing a wrestler and Farhan Akhar playing a boxer, will Hrithik Roshan be seen playing kabaddi on screen? All 30 students coached by Bihar's 'Super 30', a free coaching centre for underprivileged students, have cracked the JEE-Advanced for admissions to the IITs. Kautilya Pandit, the 9-year old who shot to fame after appearing in KBC and impressing Actor Amitabh Bachchan in 2013 visited Super 30 founder Anand Kumar.